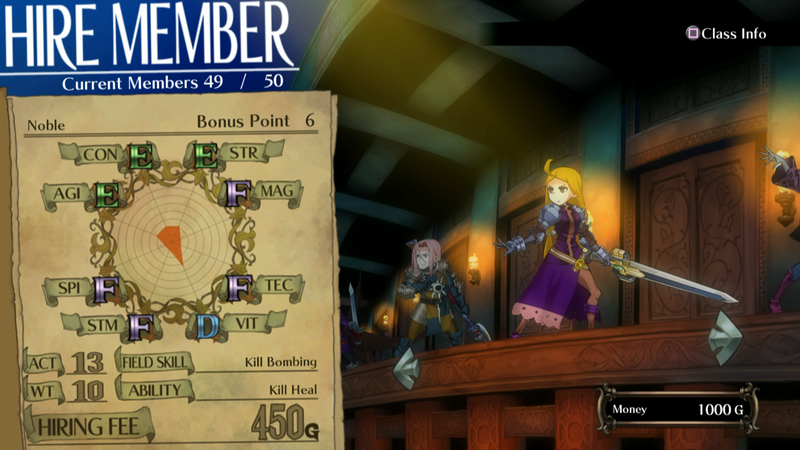 3 Systems to Care About in Grand Kingdom | NIS America, Inc.
Every RPG has a whole host of systems running behind the scenes, or right up front where you get to see them in action, and Grand Kingdom is no different. But in every game, it's also true that certain systems matter more than others - at least when you're first starting out. As you become a pro, you'll start to care about every little thing, and min-maxing your team, but for now, let's dig into three systems that truly matter (to me): the battle system, building a team, and of course, character customization. Boom. What's more important in a game about war than the battle system? Nothing! Or at least, that's my opinion, dood. It's a darn good thing that Grand Kingdom is no slouch in that department then, huh? I could write paragraphs about it, but how about you just check out this slick video we put together to explain the basics instead? Alrighty then! Now that you're all primed on how to use your troops, lets get down to the business of actually assembling a rough and tumble mercenary squad. First, you'll need to hire new mercenary units to fight for you. A mercenary unit is the basic block you'll begin with, and you'll choose each one from a variety of classes. When you start, you'll have plenty of fun classes to choose from, but the specific mercenaries willing to fight for you won't exactly be the cream of the crop because—obviously—as a new mercenary captain, you're not going to be exactly rolling in the dough. And who wants to work for cheap? Scrubs. But don't worry, you'll start making money and hiring Resonail's top talent in no time! Once you have troops, the last step before taking them to battle is to assign a formation! A formation is how your units and various objects will be arranged when you start a battle. 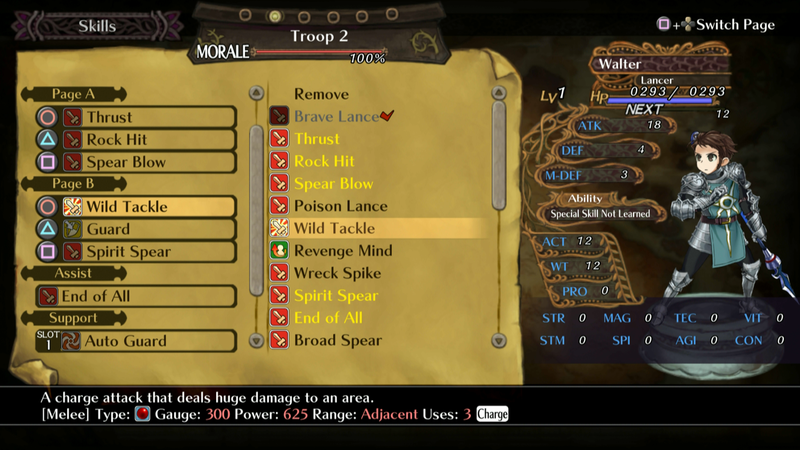 This can vary wildly depending on what you're trying to accomplish, and which units you have in a troop. Me, I like to set up all four Witches in a staggered formation so I can use each one as bait and blast the enemy with AOE spells! Pew! Pow! So yeah, one of my favorite things in RPGs is, believe it or not, making everyone look awesome. And in that department, Grand Kingdom shows up in Spades. I'm too excited to start with any customization other than my favorite customization - unit customization! This is where you'll get to equip each of your different mercenaries with their own equipment, make them look like Mick Jagger (Well...sort of? ), and just overall make your mercenaries truly yours. When you hire mercenaries, you'll be able to alter a whole host of attributes on them - everything from hair color and style to their voice. The next important part of customization requires you to talk to everybody's favorite buff man, the blacksmith! Each nation has their own blacksmith (Some more burly than others. ), and by providing them with the proper blueprints and materials, you'll be able to customize your equipment! This includes everything from upgrading pieces to enable them to hold more pyroxene (a useful element that provides various effects), to synthesizing brand new equipment. There's a lot of depth to the way that equipment can change the way you play or your units, so maybe we'll get into that later. And now, the final piece to this customization puzzle - troop customization! What kind of mercenary captain doesn't spend each night in his tent agonizing over that single most important part of the job, his sigil! You'll be able to customize the flag that flies above your troop when they go to battle, as well as the field piece that represents your troop on the map as you travel about Resonail. If you're hoping to make your mark in the online leaderboards, you'll want to spend a bit of time perfecting the comment that will display about your troop there too! Now, I could go on at length about just about every one of these systems, and how much I enjoy them, but quite frankly, I want to get back to playing. 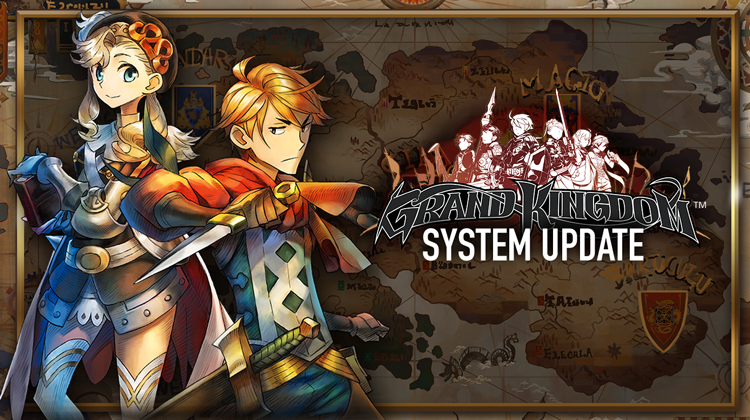 So, to find out more about Grand Kingdom and a whole host of systems that I didn't even touch on here, head over to the game's official website. There, you'll be able to discover more about the world, game flow, objects that will affect your battles, and more!